Spacious forest complexes, exceptional natural beauty of lakes and waterfalls, rich flora and fauna, mountain air, contrasts of autumn colors, forest paths, wooden bridges and the other, are part of the UNESCO's World Heritage Site, 1979, among the first in world. The route from Split to the site takes about 3 hours. 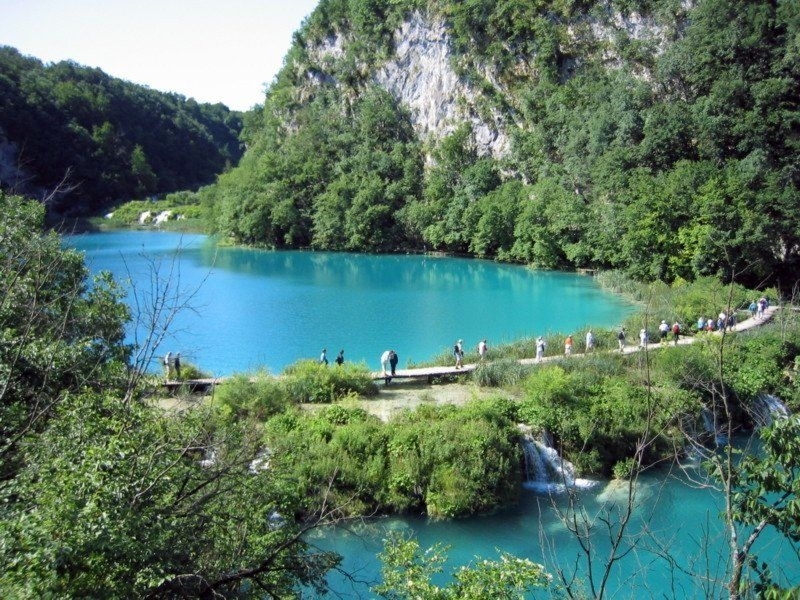 The tour of Plitvice takes 3-4 hours. Full day excursion for 9-11 hours. Departure from Split and its surroundings by arrangement. We ride in an air conditioned passenger van. 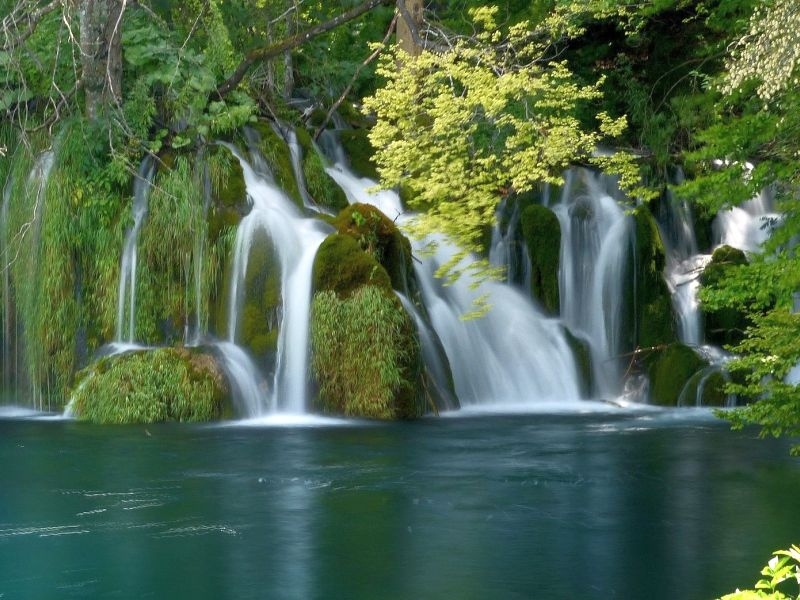 At the nearest entrance we are included on the Dalmatia motorway and enjoy nature by going to the exit for Plitvice. We continue to drive on the local road through the nature to the entrance to NP Plitvice Lakes. By coming to Plitvice Lakes, our driver is at your service for any questions you may have. For visiting and visiting NP Plitvice Lakes you have 3-4 hours of free time and you can enjoy the natural beauties under the protection of UNESCO. After a couple of hours of enjoyment in natural beauty follow the meeting at the agreed place and return to Split the same way. Consists of 16 beautiful cascading lakes on the Koran River, located between the Small Chapel and the Plješevica River in Lika. It is the largest, oldest and most visited Croatian national park. The region was declared a national park in 1949. 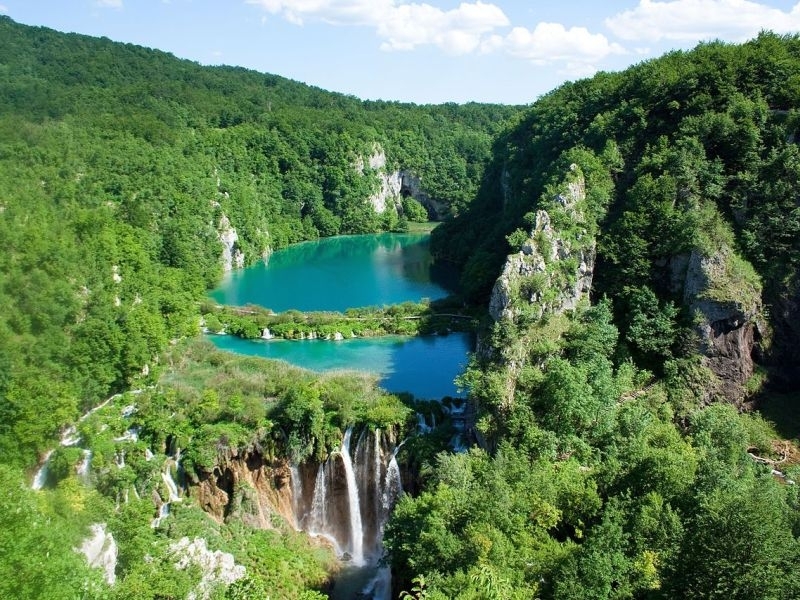 Plitvice Lakes are a specific geological and hydrogeological karst phenomenon. Lake Complex is a wooded mountainous area with 16 small and larger lakes of crystalline emerald-blue-green color. Water capacity drains from numerous streams and streams, and are interconnected by sparkling cascades and waterfalls. The lakes have been separated from the barren barriers that have been created for about ten thousand years, which is the characteristic of this park. Spacious forest complexes, exceptional natural beauty of lakes and waterfalls, rich flora and fauna, mountain air, contrasts of autumn colors, forest paths, wooden bridges and the like, are part of the UNESCO World Heritage Site 1979, among the first in world. Lakes are divided into Upper and Lower Lakes. The upper lakes are: Prošćansko jezero, Ciginovac, Okrug, Batinovac, Veliko jezero, Small lake, Vir, Galovac, Milino lake, Gradinsko jezero, Veliki Burget and Kozjak. The lower lakes are: Milanovac, Gavanovac, Kaluđerovac and Novaković Brod. The lakes flood the Black and White rivers with tributaries and Rječici and its tributaries. There are many sources where water is abundant. These are typical karst springs created on the defects of permeable and impermeable geological formations. As many as 1267 different plant species are registered in the Park, of which up to 50 species of orchids.